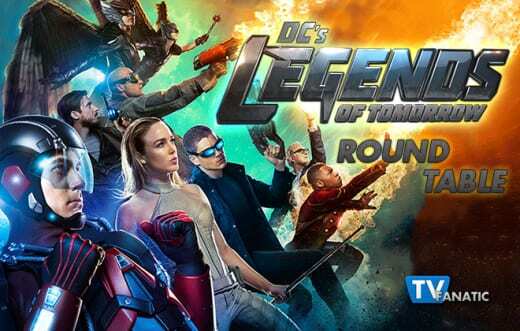 Wasn't it fun watching two Steins working together (even if they weren't both in on the news) on DC's Legends of Tomorrow Season 1 Episode 2? We're discussing that and other possibilities down the road, characters we'd like to see work together, Carter's death and more. Join TV Fanatics Hank Otero, Meg Bonney, Jay Ruymann, Jim Garner and Carissa Pavlica as they share their thoughts on the matters at hand and share your own with a comment. What have been your favorite partnerships so far and who would you like to work together next? Hank: Atom and Captain Cold have a pretty cool dynamic. I also like that Heat Wave's got more dialogue on this new series. Our bad boys get the best lines. The Sara/Dr. Stein stuff in this episode was a blast. I feel like I want to see Rip Hunter much more involved. Partner Rip with any of our leads, just get him out in the field. You know? Meg: I like Sara with Cold, that is a fun dynamic. I'd like to see Sara with Ray a little more. Ray is so good and almost pure. I want Sara to shake him up a bit. 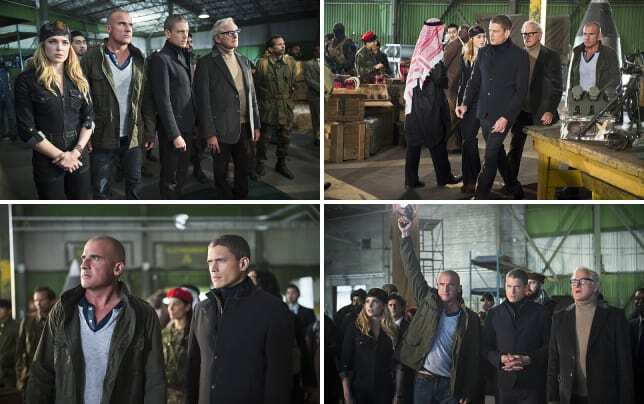 Jay: I really enjoyed Sara with Captain Cold. They had an interesting dynamic and they have the chance to be the comic relief. I would also like if the ladies paired up and we see Kendra and Sara’s dynamic together. Jim: I'm with Meg and Jay, I really liked Sara and Cold. Their dynamic is going to be interesting to watch.. I agree with Hank as well on Heat Wave's expanded dialog.. He has some of the best lines. Carissa: I'd like to see Kendra with pretty much anybody, and the same with Jax. They've been the most untested and could prove to be the most surprising when given the chance to soar (which, it turns out, they can both do!). What did you think of Dr. Stein meeting his younger self? Hank: I loved it! I couldn't get past how similar the younger actor's ears were to Victor Garber. He even pronounced certain words just like Garber. Honestly, Dr. Stein was the best choice for meeting his younger self. Everyone else is way too young. The disappearing wedding band was such a Back to the Future moment. Brilliant stuff, which gets even better with repeat viewings. Meg: It was so very Back to the Future and I loved that aspect. The younger Stein was great! He nailed the mannerisms of his older self. Sara flirting with him was funny and I loved the fashion. The costumes department is going to have some fun with this show. Jay: I honestly didn’t enjoy it. It kind of hurt my brain a little to see the two Steins and see everyone so blatantly ignore Rip Hunter’s rules about interacting with their younger selves. That said, younger Stein was interesting and I agree with Hank, even the acting was very similar. Job well done. Jim: I agree Meg, it was very Back to the Future like. I was waiting for anyone to yell "Great Scott!" or "Heavy" just to really drive the image home. I'm a sucker for time travel, so I really enjoyed it! Carissa: I enjoyed it, but do agree with Jay that it can't be good when people keep going against Rip's rules. What I liked was how it gave the younger crowd a chance to see Stein as something other than an older guy. I think it helped bring him closer to them and he'll ultimately open up a bit more. What hopes do you have for Characters meeting their future of past selves coming up? Hank: It might become a tad too gimmicky if they do it often. 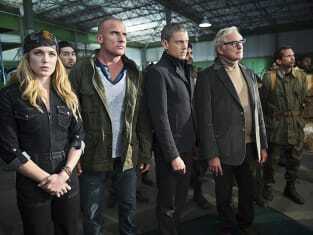 *Spoiler alert* I am psyched to see future Oliver Queen (goatee and all) in DC's Legends of the Future Season 1 Episode 6. Stephen Amell is reprising his role and we are going to meet his son, Connor Hawke, the second Green Arrow. Yeah, I am super excited about that one. Meg: I love the idea of seeing them in the future. It would be interesting to see if their characters grow or change in any drastic ways. I am super excited for future Oliver (like Hank said). I think it would be cool to see the more of the Arrow characters in the future. 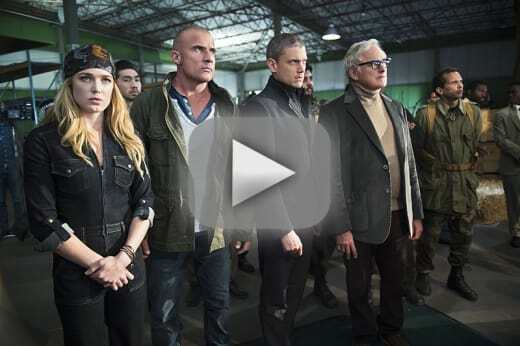 Arrow is all about the flashback and flash forward. They have such a cool opportunity to weave these shows together without having to do major crossover events. Show us what Star City used to be. Show us Oliver's parents in the 80s, stuff like that. Jay: I agree, I’m very, very excited to see older Oliver Queen and see how that will play out. I don’t think that the show should mess with past and future selves too often, seeing as a lot of that will be coming from Kendra and Carter already. It’ll be overdone. Jim: Meg and I are on the same wave length this week. I really want to see how they handle the 80s. Hearing the others talk about Arrow being seen in the future also makes me excited, but I wasn't aware of it till now. Carissa: I hadn't thought a lot about what you guys brought up. Good points. Also, they can go all over in their ship. It seems strange to limit it just to Central City and Star City, so hopefully they're going to get out and about, only coming in close when it's for a great story. Was there a standout Legend for you in the second outing? Hank: I am going to go with Firestorm, as this really was Dr. Stein's episode. By the way, how amazing are the Firestorm visual effects these days. Jax looks phenomenal as the Nuclear Man. Sorry Ronnie. Anyway, there were a lot of great moments, but without a doubt Firestorm is my standout from Legends of Tomorrow Season 1 Episode 2. Meg: Stein! I loved him at the war head bidding and I really enjoyed his interactions with young Stein. Jay: I’m going to have to say Captain Cold. I love that even though they're on a quest to save the world, a little bit of thieving never escapes his mind. Jim: I'm going with Sara. Between knocking out younger Stein and then stealing his joints as they left, she showed that she is staying true to herself in all time periods. Hawkman is dead. Do you think he'll be incorporated into the future and if so, how will they do it? Hank: If a character had to die, the two that reincarnate were the clear choices. It did surprise me they offed Hawkman in the second episode though. Since this is a time travel show, I assume the team can pick him up at another point in his timeline. How that will go down, I haven't a clue. 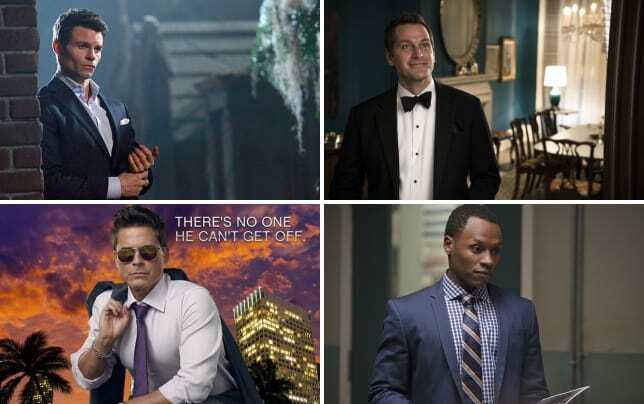 However, I am fairly certain we will see Carter Hall again this season. Meg: I was shocked when this happened! Hopefully we will get more of him down the road. It will be nice to see Kendra without him always reminding her of the past. Now she can grow on her own. Jay: I was really shocked that they went this route in the second episode, but it makes sense to add a bit more mystery and drama. I suspect they’ll travel to the future to the next reincarnation of Carter and he’ll have no memory of their past lives. It was too easy to have him aware of these memories. Jim: I'm kinda hoping Jay is right and that they get a "future Carter" to join up. It would give Kendra a chance to get to know him as he gained his memories. Though I think Kendra is going to struggle for a bit given she is now flying blind (pun intended). Carissa: When dealing with time-traveling reincarnating characters, how dead is dead? Not very. But I'd say the same would be for any of the travelers as time is fluid, as we've come to learn on The Flash. It will be interesting to see if they bring him back onto the ship or just meet and greet and use him in capers along stopping points to keep various timelines from going whack.